We have a planned curriculum at the Culkin School. This plan has been put into place to help dancers learn the basic form and movements of Irish dancing, which should help them progress as dancers. Whether your dancer chooses to compete, perform or dance for fun; our classes focus on form, rhythm and style so that all dancers are confident! It is important to know that as your dancer becomes more involved; a criterion for moving up in level is based on attendance at class and how well a dancer remembers and masters all of the material. It is expected that your dancer practice at home and come to all classes on the schedule. Please note that the class levels do not equal the number of years danced but rather the material mastered. It is important to know that it is possible and common for dancers to remain in a class level for more than one year. They will still progress and work on learning and mastering material needed for the next level. A dancer who starts in September with no Irish dancing experience or who has participated in a Culkin School Mini-Mester or a Beginner Summer Camp program. During the first year of Irish dancing, beginners learn basic movements that are used in traditional Irish solo dancing. If your your dancer has participated in our Mini-Mester or Summer Camp program, they have been taught the basic movements of Figure or Céilí (group) dancing. The footwork needed for solo dancing is entirely different! They will start by learning their over-2-3s, which is an essential movement for solo dancing. During the course of the year they will continue to learn traditional reel steps and by March 17 they will know all of the material needed to participate in the Washington DC and Gaithersburg St. Patrick’s Day parades! The parades are great fun for young and old alike! Dancers are required to participate in 1 class per week at this level. The dancer will move up to Level 3 if they are ready to move on to hard shoe, or are already learning beginner hard shoe material. Dancers are required to participate in 1 class per week. If your dancer is interested in taking 2 solo classes per week, please get in touch with your instructor so they can help guide you. In Level 3 dancers learn more complicated and advanced steps as well as start to learn hard shoe. Most dancers take more than one year to move into Level 4, this is due to the amount of material that must be mastered. The dancer will move onto level 4 once they have mastered all of the material listed above and they are ready to learn the advanced reel and slip jig steps. In Level 4 dancers learn more complicated and advanced steps including slow treble jig and slow hornpipe. Most dancers take more than one year to move into level 5, which is a class geared to competitive dancers who want to move into the championship level. Please note that there is a lot of advanced material that must be mastered, which will take time and practice. At this level, dancers must put in some extra time working at home on their steps. The dancer will move onto Level 5 once they have mastered all of the material listed above and when they are ready to learn more complicated material. As noted below, Level 5 is geared to the dancer who is actively competing in at least 6 Feiseanna per year, preferably more. ALL class changes are at the instructor’s discretion. Dancers are required to participate in 1 class per week, however, at this level, many dancers opt to take 2 classes per week, which is highly recommended. There are plenty of Level 4 classes available for your dancer if they are interested in taking 2 solo classes. This level is a competitive Irish dance class that prepares dancers for the championship level classes and competitions. Dancers are required to dance in at least 4 feiseanna per year at this level. We suggest any of the following local competitions: Feis Culkin, Comhaltas (CCE) Feis, McGrath Feis, Hurley Feis, Old Dominion Feis, Baltimore and/or Nation’s Capital Feis. For dancers who are serious about getting to the championship level, we highly suggest traveling to some out-of-state feiseanna in New Jersey, Pennsylvania and Delaware. In Level 5, dancers are taught new moves which are drilled weekly in order to perfect more complicated material. Dancers are also taught performance pieces and steps that are used in more high profile shows. Dancers are required to perform and master all material and must have all 8 Prizewinner 1st places from NAFC sanctioned feiseanna before proceeding to Level 6. (Boys must have 6 Prizewinner 1st places). There must be at least 5 or more dancers in a competition for the 1st place to count. NOTE: that when a dancer ‘bumps up’, it is at the teacher’s discretion as to when the dancer will start in the preliminary championship classes. The decision is based on experience, material mastered and material that needs to be learned. ALL Level 5 dancers are required to participate in 2 classes per week. There are no make-up classes for this level, so the requirement is to make as many classes as possible. This class is catered to Preliminary Championship and young Open Championship dancers. 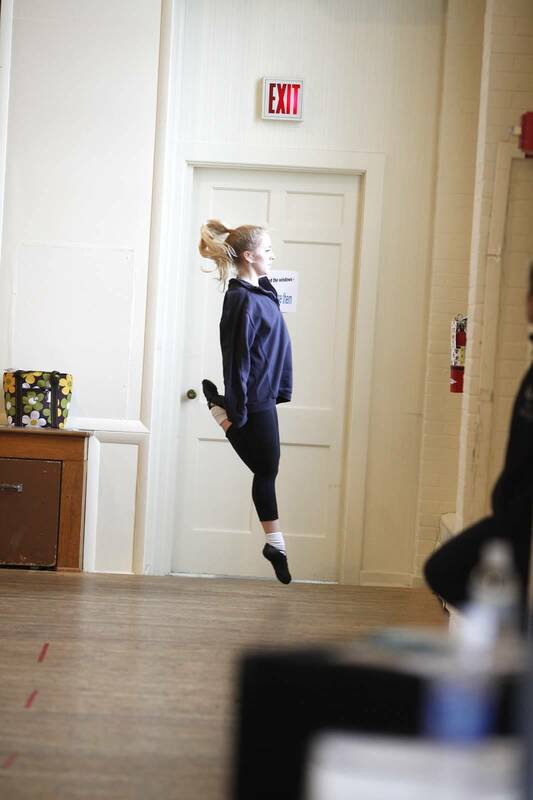 The class focuses on learning set pieces, which are needed at the Oireachtas (Regional Championships) and other major competitions such as the North American Championships. The class will be dedicated to learning new moves and material geared towards achieving Open Championship status. Strength, fitness and stamina will also become a major focus. Dancers must win the required two 1st places at a NAFC sanctioned feis in order to move into Open. There must be at least 5 dancers in the competition for a 1st place to count. NOTE: that when a dancer ‘bumps up’, it is at the teacher’s discretion as to when the dancer will start in the open championship classes. The class change will depend on material mastered, experience and basic championship moves that still need to be learned and mastered for the next level. All Level 6 dancers are required to participate in 3 classes per week. These classes will prepare your dancer for performances and competitions; including local feiseanna and majors. This class is for Open Championship dancers, the highest level a dancer can achieve at the competitive level. Dancers will continue to learn new material and updated moves in order to stay competitive with the hopes of improving placements at major competitions and feiseanna. Strength, fitness and stamina will remain a major focus in this class. ALL Level 7 dancers are required to participate in 3 classes per week. These classes will prepare your dancer for performances and competitions; including local feiseanna and majors. The Culkin School has added several figure/céilí classes (group dances) to the schedule. Dancers learn the basics of figures including footwork and arm movements used in traditional céilí dances. Dancers are eligible to compete in teams at the local feis level and the major competition level, if interested. Joining a figures class is a wonderful way for your dancer to meet other Culkin students! Figures classes will also improve your dancer’s form and stamina, which should result in some improvement in their solo dancing! Dancers are required to participate in at least one solo class per week in order to be eligible to enroll in the Figures Program. Figures dancers who are placed on an Oireachtas, Nationals or World Championship team are also expected to attend additional workshops and attend specific feiseanna in order to be adequately prepared. To see more information about our Figures Program, please click here! If you’re an adult who would like to learn Irish dancing or an adult who danced as a child, there is a class for you in our award winning adult program! The Adult Program has a Beginner, Intermediate and Advanced class all held on Mondays at Glen Echo Park! The program is split into quarters and sessions start in September, December, February and April. For more information about our adult program, please click here!